Svalbard Poppies are more or less the national flower for Spitsbergen. These nice creamy white flowers can be found in quite harsh environments. 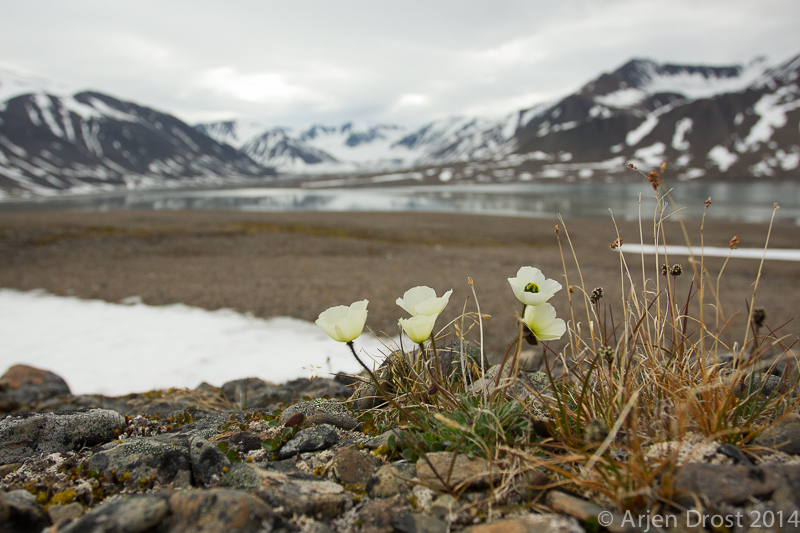 With this image I not only wanted to show the beauty of the flower, but by using a wide angle lens I also showed something of the spectacular scenery of Spitsbergen, the island that gave its name to the flower.